Frost & Flame has been the trusted name in home heating for the past 37 years. So when we decided to add home cooling to our product lines, we chose Napoleon Air Conditioner/Heat Pumps as our partner to best serve you our customers. So why Napoleon Air Conditioners? Cooling isn’t the only function of an air conditioner. As we spend a lot of our free time in our homes, our research shows that Napoleon really works to make it a comfortable haven. Their line of air conditioner/heat pumps brings balance to your home to never leave you too hot, or too cold but comfortable and refreshed. Napoleon leads the way with new, innovative technology and continuously surpasses industry standards. 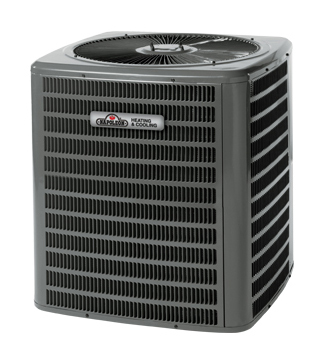 Central air or ductless air conditioner/heat pump? What best for you? Let the Frost & Flame experts ask you the right questions and help you decide based on your needs. Then owner Steve Richard himself comes to your home to take all of the measurements. You never have to worry about someone with limited experience showing up. Lastly, all installations are done only by our own expert installers – never by a subcontractor. So why consider air conditioning/ heat pump? This is the ultimate home heating/cooling unit. The single condensing unit cools and dehumidifies indoor air and by keeping your thermostat at a constant temperature, your air conditioner will keep those humid hot days, and every day, feel refreshing. Durability, energy efficiency, environmentally friendly features and high performance are the hallmark of the Napoleon name. Also, the heat pump is 30% cheaper than oil. 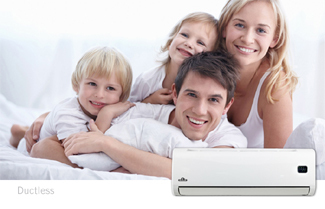 So why a ductless air conditioner/heat pump? A cost effective way to stay cool and warm during both seasons, Napoleon’s Ductless Air Conditioner/Heat Pumps are a brilliant alternative to custom installed cooling equipment. With zone cooling, these units balance airflow until a desired temperature is reached and maintained to keep comfort and balance. With your choice of single zone, multi zone and energy efficient heat pump models you can select a unit perfect for your needs, keeping your costs low and efficiency high. Tired of your loud, inefficient air conditioner? New technology delivers quiet, super efficient air and heat with one unit and no duct work. Napoleon Air Conditioner/Heat Pumps are your answer! Frost & Flame, your Napoleon connection! Frost & Flame, the trusted name for over 37 years. Let us help you decide which type of air conditioner/heat pump is most effective for your home and most cost efficient for you. Stop in or call us today!